Out of space on your smartphone or tablet? Then this is the competition for you, as we've teamed up with Patriot Memory to give you the chance of winning one of five Gauntlet Node portable wireless storage enclosures worth £80 a pop! 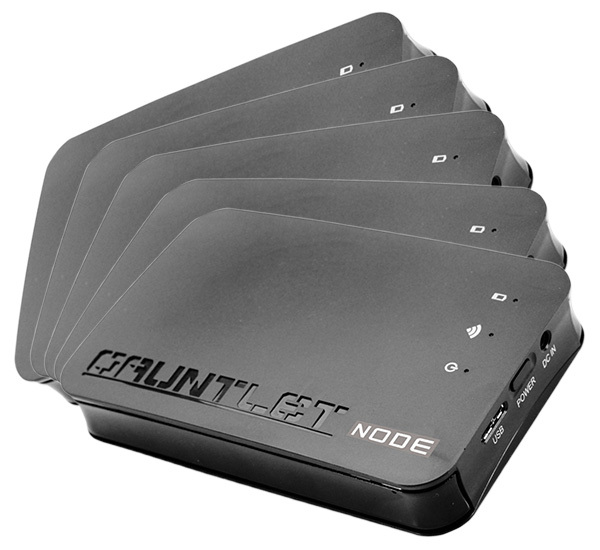 The Gauntlet Node quickly and easily increases the storage capacity of some of today's most popular mobile devices. It is a complete Do-It-Yourself solution that turns any 2.5in drive into wireless storage for your smartphone or tablet. You can connect up to eight devices simultaneously, and with App support for Android, iOS and Kindle Fire, the Gauntlet Node provides an accessible wireless storage solution for streaming content like videos, music, and pictures. Anyone else notice the website and Hexus review seem to differ on the answer lol. Competitions seem to be coming thick and fast keep em coming. Am i the only one that when i click on the “fancy another chance…” button i get directed to the hexus facebook page and can't seem to get to a competition page? thanks, it works now. probably FB being a pain. people today are complaining it's being laggy.